Peachy Keen Challenge #66 AND Cake Pop Video! 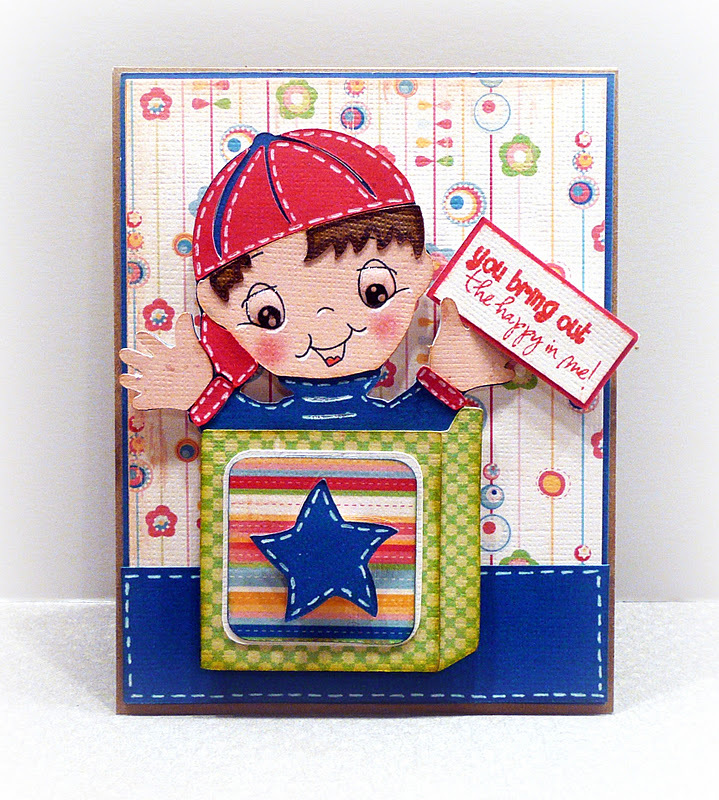 Peachy Keen Kut Outs Blog Hop! Gift Tag w/the new Tim Holtz Winter Edition ink! Meet "My Creative Time's" new design team! Welcome to another Throwback Thursday Challenge! This is one week before My Creative Time's November Stamp Release happening next Friday, Nov. 18th @ 12:01am! So, you know what that means.... right? That means if you participate in this challenge, you will have the "Golden opportunity" to qualify to win the ENTIRE release next week! This is probably the BEST release to date! ;) The deadline for this challenge will be on Wed, Nov. 16th! So you only have one week to complete your projects in order to qualify! ***MUST BE A "Kid Friendly" THEME project of YOUR choice!!! *** Deadline for this challenge will be on Wed, Nov 16th @ midnight! Here is a quick little video for ya! Here is Miss Leanne's CUTIE PATOOTIE card using my "Turn That Frown Upside Down" stamp set! Here is Miss Liz's SUPER FUN card using my "Wow, So Many Candles" stamp set! 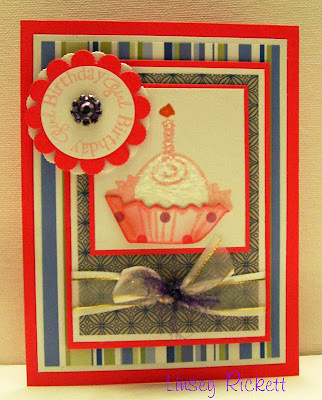 Miss Linsey made this SUPER SWEET card using "All Around Birthday Time", "All Around Accessories" stamp sets along w/the "Scallop & Stitch Circle Die" set! Sweet, I think I should try this throw Back Thursday..... Would be fab. to win! Great projects, you have a great DT! TFS! Is she the cutest!!!! Absolutely adorable card. Love the colors. I also LOVE all your DT's projects. Thank you so much for sharing. That is one cute little girl! Can't wait to make my card!! Great inspiration from the DT! sooo cuuute emma! I need those doggie faces!!! :) everyone did such a fab job! I love the stamp set. I'm getting excited for this stamp release if they are all as cute as that one. I can't wait to play along today!! What a fun challenge today! Everybody's projects are so cute!!! Emma, the details on your little girl and her dog are just perfect! Love it! LOVE, LOVE the cards!! Great stamp sets. This one is one my favorite cards you have made! So super cute:) I love it!!! Love your card with the little doggie! Also loved the wreath you made the other day. I just entered this challenge and so excited for the chance to win your awesome stamps! Your card is soooo cute!!! I have the Playtime cart and I don't remember that cut. I LOVE it! I LOVE that 'bow'. Pink and sparkly - now that's MY kind of bow! Love this Emma! You're such an enabler. Now I think I need to get some Peachy Keen faces! Your card is so super adorable!! and the DT did a fab job as always!! I LOVE your card,Emma!!! SOOO cute! I just LOVE the colors,the cute little girl and the ribbon!! SO pretty!!! Oh my goodness,these are adorable!! Great job everyone!!! Love them all!! Love all the cute stuff. Thanks for the challenge. AW Emma, your card is so darling, the little girl and dog are adorable. Love the bow, I will have to give that a try. Your Design Team did an amazing job as always. Super Cute card Emma....love that face!! Your DT did a awesome job!! 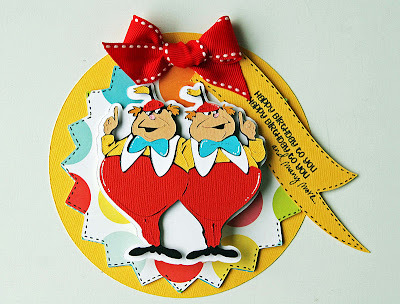 What fabulous cards and such a fun challenge! Thanks Emma! Great projects, thanks for the fun challenge! What an adorable card Emma!! I think I may need to pull out that cartridge! Fabulous job!! you and your DT did an amazing job! Great challenge! Love all the projects and looking forward to your sneak peaks. Great challenge. I'm so glad I had some time to participate in this one! I can not wait until next week!! Sweet card...sure to get a smile or two with this card. Love the details! Awesome card! OK< so I am trying the Throwback Thursday Challenge! Hope you enjoy! Like the creations. Entered a Book Scrapbook Layout in which I used "Kid Friendly" Cricut cartridge Locker Talk Bookstack for a "Kid Freindly" theme of my daughter reading Harry Potter book. Your DT did a great job, as always. Thanks for the challenge. I'm glad I had the time to join this one. Thanks Emma! Another amazing card! 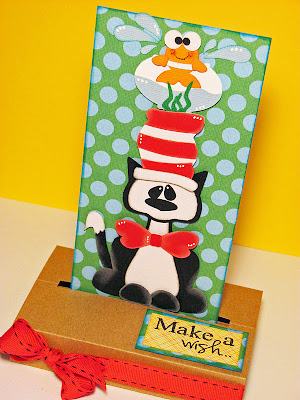 I enjoy the challenge because it makes me thinking about what color, image, or shapes are needed to make my own card. It takes a little time but to finish it is awesome. Thanks for the opportunity for the challenge! Thank you for hosting this challenge! It always so much fun to play along! Your card is adorable! I also want to thank you for all you do on your blog. You inspire me and I always enjoy viewing your projects and watching your videos. You are very talented. Super cute card Miss Emma! I love the added touch of the Peachy Keen Stamps. Super fun Challenge Emma. Thank you for putting it on. Great cards from everyone, they are all so cute. All of the design team cards are sooo adorable. Thanks for all the inspiration and for another great challenge. Yay! I just finished up my card and entered it here. Thank you for this fun challenge! Everyone has made some fun and inspirational projects. I loved this challenge. It was so much fun to do. Thanks for the chance. Great challenge! It gave me a chance to finish a project I started 5 months ago! Love this challenge! All of the projects are amazing! Love your blog and all your card ideas. Your card is so cute. I had so much fun with this challenge. It's been a very trying week and I so needed to have some fun creating a very fun project. Thanks for challenging me! This is the first time I have been to your site and I found it via Creative Diva. I love this challenge and I just recently did a very "kid freindly project" so how cool is that for timing? I love your stamps. I am super excited I found you! Absolutely love your stamps! Can not wait to the new release because I am always looking to update. What a great card Emma!! :) I just linked mine up!! Thanks for the really fun Challenge! :)So excited it's release week!!! WOW what fabulous projects. Thank you for a fun challenge! I had a blast! Love everyone's great cards. Great work new design team. Adorable card! And the DT did an excellent job! Awesome! Had so much fun with the challenge! Thanks for inspiring us Emma! Love the card! Those doggie faces are on my wish list. Thanks for making me dig out my Baby Steps to play along with! I can't wait to see your new release. YAY!!! So glad I got my challenge entry in for a chance to win your new release!!! Thanks for such a fun challenge! Perfect challenge for me because I just got the "B" is for Boy cart and I love it. Thanks for the fun challenge. Just an absolutely adorable card Emma! The DT is AMAZING! Every project is superb! Thanks for the fun challenge and a chance to win a fabulous set of stamps. Your card is sooo cute! I am going to try to do one of those bows someday. I have some buckles like the one you used with your bow and was wondering what I could use them for. Now I know. (Saw them on clearance at Walmart and just had to get them. Lol.) Thank you for the challenge and the opportunity to win. This is my first time trying the challenge. Can't wait to see your full release on Friday. Wow 69 entries before me. Having a sports oriented family, I'm real excited about this newest release. The DT did a fantastic job, as always. Love your card Emma.I'm a last minute entry as the card is for my son's birthday and didn't want to post the picture before he had opened his card! Whoops I linked twice, silly lag, sorry about that! Emma Thanks for the wonderful and fun challenge. I would love to win your stamp set. I love all the great cards and thanks for all the fun. Your challenges are great. Thank you for the challenge. I love all of the cards. This is my first try at your challenge and also at doing a wiper card. It was lots of fun and love the new stamp sets too! Love all of the DT entries and as always your card is Awesome!! I love seeing what you come up with for each challenge. Decided this challenge was just the thing to get me to try making a new style of card. Thanks for the "push" lol. I thought I did this, but for some reason my link wasn't showing. I'm glad I checked back. Loving your newest release. You go Emma!